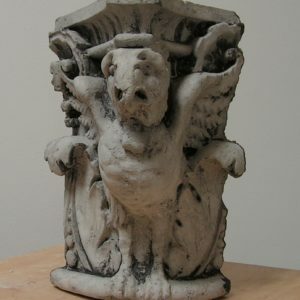 View cart “Union Square Subway Station Eagle Nr S2” has been added to your cart. 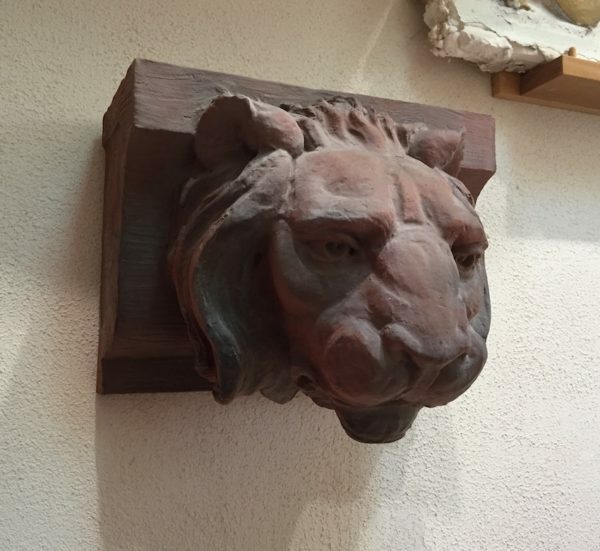 The classical cornice lion design was always a favorite used on buildings going back to the Roman times, but which was wildly popular in the United States in the 19th Century where he was used especially on rooftop cornices, as well as keystones and elsewhere. 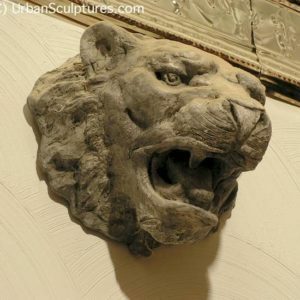 The cornice lion position was always the most popular and widely used on Government, State, city, public and private buildings of all kinds. 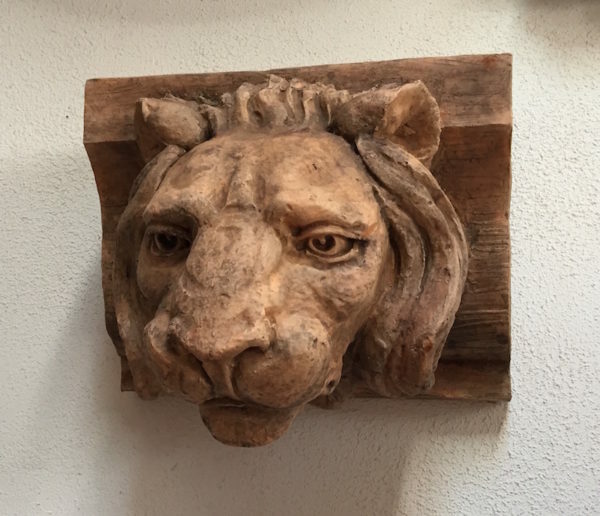 This little cornice lion was inspired by those, but those rooftop cornice lions have always been massively large scaled and meant to be seen from the street perhaps 14 or more floors below, and most of those originals have a lion head mask on a HUGE block of stone or terracotta weighing hundreds of pounds. My greatly reduced scale cornice lion brings you all the cuteness of the lion and his classical curved background, but at a much smaller size- just 11″ wide, about 9-1/4″ high, and easily hung on the wall. 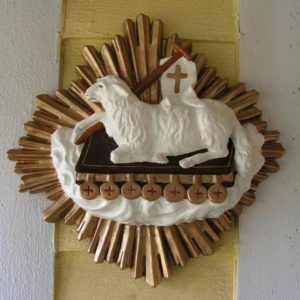 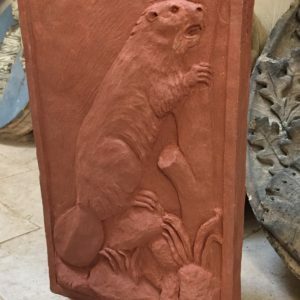 A kiln fired terracotta version of this is also planned.